Previous image, 16 total items. Next image, 16 total items. Whether you're after exciting adventures or a relaxed vacation, Batemans Bay will be just the right place. When in this part of South Coast, you will find yourself mingling with about 11 000 local people. Sydney, the state capital, is roughly 230 kilometres to the northeast of Batemans Bay. Alternatively, Long Beach is 7 kilometres to the east. Kids are going to enjoy a holiday in this region thanks to the family-friendly attractions available. The Birdland Animal Park and Batemans Bay Mini Golf are great spots to visit when they start getting restless. Get closer than ever before to some other members of the animal kingdom at the Mogo Zoo, a spot that the whole gang is sure to be entertained by. Enjoy being surrounded by an abundance of living plants at the Eurobodalla Botanic Gardens. This charming green oasis makes a great site to take a breather from all those tourist activities. Visitors in Batemans Bay are often begrudging when they discover just how many parks it has. Keen to live like a local? 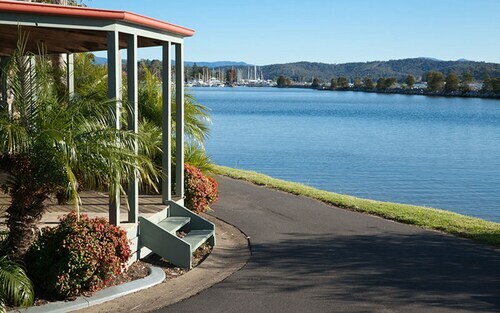 Mosey on over to Mossy Point or Albert Ryan Park and soak up the peaceful setting. Alternate choices are Murramarang National Park and Deua National Park. Caseys Beach is a seashore in the area. which is all the craze among beach lovers. Break free from the chaos of the city and reconnect with nature at one of the region's nature reserves and parks. The terrain and outlooks at both Benandarah State Park and Murramarang National Park - Pretty Beach Access Point are sure to impress every tourist. Make sure you spare a few hours to satisfy you passion for art at the Wattlebark Gallery of Arts and Crafts. If you have an interest in the different people and events that have shaped this region over the years, be sure to stop in at Batemans Bay Old Courthouse Museum. If you want to learn more, continue your magical history tour at Gold Rush Colony, another of Batemans Bay's intriguing historic sites. SAGE Farmers Market Moruya, the main shopping centre in the region, is a great spot for souvenirs, accessories and essentials. If you are travelling with a golf nut, why not make their day and book them a few hours of fairway heaven and sand trap hell at the Catalina Golf Course, Batemans Bay's most popular golf course. 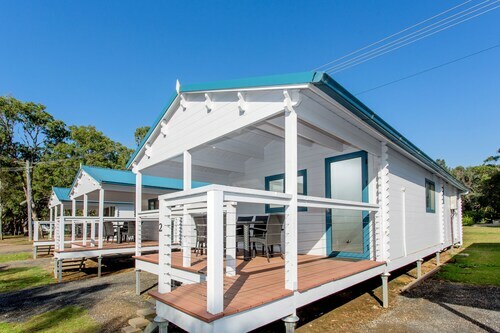 Located in Batemans Bay, this beachfront cabin is in the city center and within a 10-minute walk of Catalina Golf Course and Batemans Bay Marina. Hanging Rock Sports Complex and Gold Rush Colony are also within 9 mi (15 km). 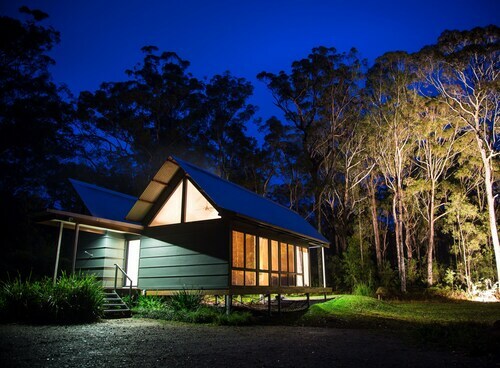 Offering direct access to the beach, this South Durras campground is 2.2 mi (3.5 km) from Murramarang National Park and within 9 mi (15 km) of Benandarah State Park and Cullendulla Creek Nature Reserve. Surfside Beach and Batemans Bay Marina are also within 12 mi (20 km). 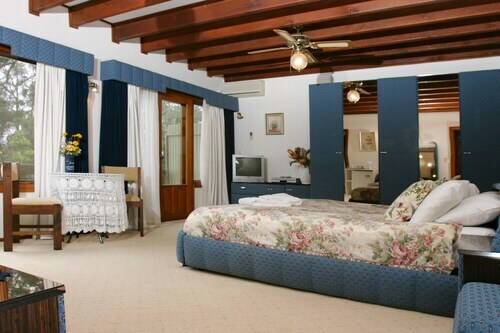 Located in the heart of North Batemans Bay, this motel is within 1 mi (2 km) of Surfside Beach, Batemans Bay Mini Golf, and Batemans Bay Old Courthouse Museum. Albert Ryan Park and Cullendulla Creek Nature Reserve are also within 2 mi (3 km). 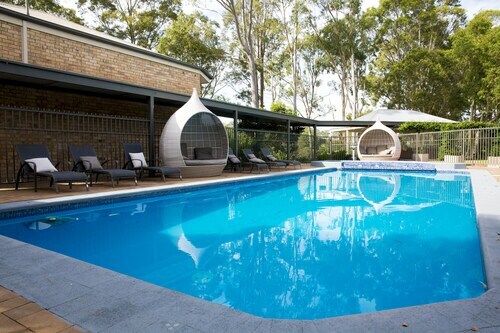 This family-friendly Bawley Point holiday park is located near the beach, within 3 mi (5 km) of Murramarang National Park - Pretty Beach Access Point and Bawley Beach. Meroo National Park is 8.4 mi (13.5 km) away. 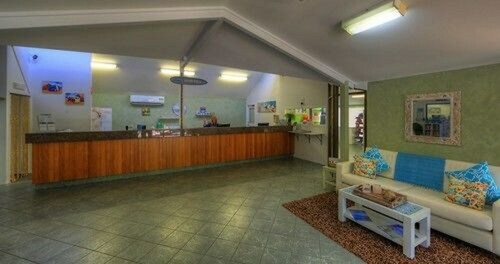 Situated near the airport, this hotel is within 2 mi (3 km) of Mossy Point, Broulee North Beach, and Broulee South Beach. Mogo Zoo and Gold Rush Colony are also within 6 mi (10 km). 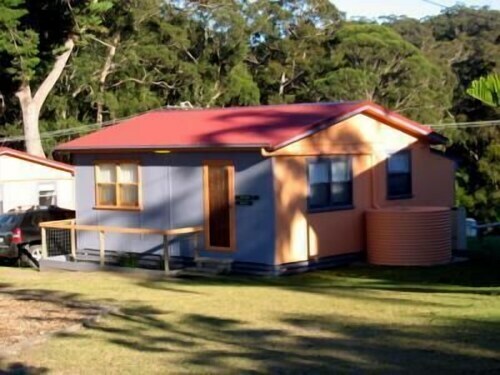 Situated by the ocean, this luxury guesthouse is within 6 mi (10 km) of Birdland Animal Park, Mogo Zoo, and Batemans Bay Marina. Gold Rush Colony is 6.8 mi (10.9 km) away. Situated by the ocean, this campground is 3.9 mi (6.3 km) from Pebbly Beach and 11.6 mi (18.6 km) from Benandarah State Park. Cullendulla Creek Nature Reserve and Surfside Beach are also within 16 mi (25 km).